Pink has become one of the most entertaining acts this year by far! Performing her new single (out in the US) “Glitter In The Air” at this year’s Grammy Awards where Pink put on an enchanting show in the air, there ain’t no stopping the ever-changing brilliant artist, that is Pink. The album Funhouse had continued to do well and since the release of her latest single “Please Don’t Leave Me” & the success of her fantastic tour “The Funhouse Summer Carnival Tour” this year being the fifth highest grossing tour of the year, maybe it was only right for her to re- release a new video for the single. Pink is in a league of her own, a younger Madonna in a sense where when she evolves we all want to evolve with her. Recovery which is the title for Eminem’s new album is set to release shortly. 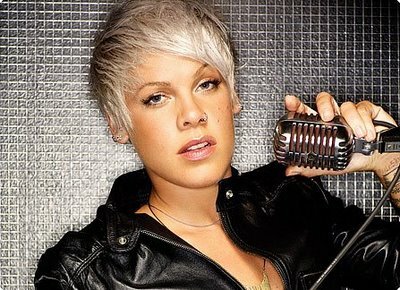 And what would be nice then to start the weekend with an exclusive listen to Won’t Back Down feat the incredible Pink! !